In his Budget last October, the Chancellor of the Exchequer Philip Hammond announced proposals for a new tax on the manufacture and import of plastic packaging that contains less than 30 per cent recycled plastic. For us and the water cooler industry as a whole, which is one of the greenest sectors there is, it is welcome news. Water coolers provide convenient and healthy hydration with a minimal environmental impact because they are either plumbed in and using mains water or are containers that are used time and time again and, once they reach the end of their life, are recycled. Water coolers are the sustainable drinks choice for businesses, homes and public places. Having delicious, cooled water readily to hand encourages water consumption, which is good for everyone’s health and wellbeing. Providing water via a cooler rather than through single use bottles is a highly sustainable option, because on average each water cooler bottle can be re-used 40 to 50 times. Once they reach the end of their life, water cooler bottles are withdrawn from service and recycled, with a typical bottle scrappage rate of around two per cent. A wide variety of products can be then made from the recycled material. Rarely are bottles simply ditched as with single use bottles due to a substantial deposit meaning that these containers are not thrown in the sea or into the general waste bin. 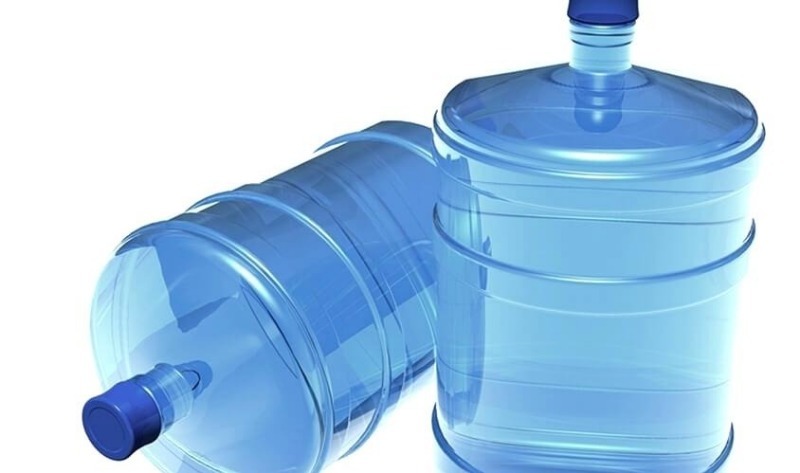 Most water cooler bottles are made of polycarbonate, but newer versions may be made of PET (or polyethylene terephthalate, to give it its full name) with additives to improve durability and clarity. Take up of these new style bottles has been slow and the majority of the 313 million litres of water sold each year (Source Zenith Global 2017) are packed in polycarbonate. Although it is less versatile than some other forms of plastic, polycarbonate can be recycled into a wide variety of products, and tends to be the material of choice for water cooler bottles because of its high strength and durability which is needed to withstand the weight of 18.9 litres of water, and the high temperatures used in the wash process. Although polycarbonate bottles are fully recyclable, the material loses strength in the recycling process so only a small percentage can be used in the manufacture of new bottles. However, there are numerous other uses for recycled polycarbonate, including car head lamp lenses for motor vehicles as well as dashboards, electronic component housing and mobile phones. There we are, we’ve said it; we approve of a tax! But don’t hold it against us. If you’d like us to supply your business with water, please give us a call on 0800 061 2193. We offer free delivery across Yorkshire, Lincolnshire, Derby and Nottingham.